If you run your finger down the spec sheet for the Panasonic Lumix G 20mm f/1.7 II ASPH (announced today), you'll find that it's identical to the one for the Mark I lens. However, the new lens has a metal finish and a metal mount which gives it a higher quality feel and should make it a bit more durable. As with the original optic, it's constructed from seven lenses in five groups with two aspherical lenses to reduce distortion and chromatic aberration. The lens elements are also multi-coated to minimise ghosting and flare. Thanks to the large maximum aperture there's plenty of control over depth of field, and the seven blades ensure that out of focus highlights look rounded and smooth. 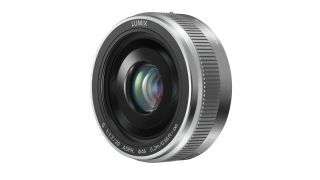 As a Micro Four Thirds lens the Lumix G 20mm f/1.7 II ASPH is designed for use on Panasonic's compact system cameras such as the Panasonic G6 and Panasonic GF6. However, it is also compatible with other Micro Four Thirds cameras like the Olympus E-P5, Olympus E-PL5 and Olympus E-PM2. The 2x focal length magnification factor of Micro Four Thirds lenses means that the new lens has an effective focal length of 40mm, which is close to that of the human eye. This and its large aperture makes it an ideal optic for street and documentary photography or everyday shooting. Panasonic says that the new lens, available in black or silver, will go on sale on July 29 with a price of around £349 (US$429, around AU$460).